The coming of springtime is special in Lake Tahoe. The beauty of the blooming flowers, the rushing rivers pregnant with snowmelt and the pristine serenity of the lake’s shoreline make it a landscape that inspires inner joy and the imagination. For those who enjoy adding an artistic element to their inspirations, there is a vast array of fun to be had in the hands-on department. 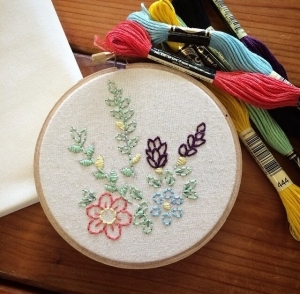 From learning the craft of macrame to enjoying the tranquility that comes from journaling art, from discovering the technique of stenciling to delighting in the creation of pine needle baskets, there are fabulous shops around the basin that offer classes and workshops to help us connect with our artistic side. Not to mention that making crafts is a fantastic way to make heartfelt gifts that we can give to loved ones with pride. Interested in learning more? Here are five craft galleries that will satisfy the creative mind that exists in all of us. 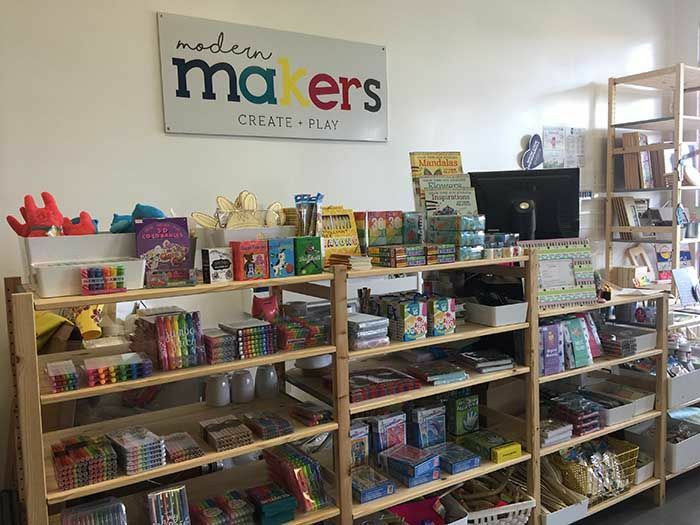 The imaginative store, Modern Makers, located in South Lake Tahoe, is filled to the brim with various ways to delve into creating handmade pieces of art. Beyond their store filled with art supplies, they have a multitude of classes that vary in style. They offer drawing classes, acrylic painting and macrame as well as unique artistic modalities in the form of string art, glass fusing and journaling art. Their instructors are all highly talented and have a beautiful way of sharing their expertise. Beyond their scheduled workshops they also offer space for parties, private events and group gatherings for all ages, genders and special occasions. Situated in Truckee, Atelier is an enjoyable arena that specializes in tactile living. Atelier offers a retail space filled with yarn, art supplies and limited-edition art pieces. But the fun really comes into action with their workshops. Taught by locals who have a knack for crafts, specialty artistry, illustration, design, weaving, knitting and painting (plus a few other homespun techniques), there is a huge selection of enjoyment to be had. In South Lake Tahoe, Wildwood Maker’s Market is a stage for finding incredible treasures made by local and independent artists. The owner, Lisa, has a special knack for finding artisans from Lake Tahoe as well as places like Etsy, Instagram and craft fairs, and their works will delight even the hardest person to find a gift for. Being a place that supports small businesses and the artistic individual, Wildwood Marker’s Market is also a place to hone your own craftsmanship with classes like calligraphy and sign making. They offer craft kits, educational books and art supplies, too. 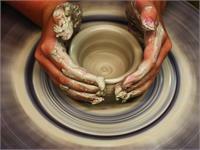 Those who enjoy a bit more clay with their art amusement should check out All Fired Up in Tahoe City. A place for making pottery, its studio is complete with a pottery wheel and kiln. They also offer classes in canvas painting, candle making and mosaics. Bringing a little more merriment into things, they offer garden art, which appreciates the sparkle that comes from fairies and gnomes. There are no studio fees associated with their classes and no reservation needed. They offer a Bring Your Own Beer/Wine policy as well. A rare find when it comes to handcrafts, Truckee Roundhouse is a nonprofit that provides a makers space for creating art that requires machining, technology, science, digital artistry and electronic art. They offer the machines and tools needed for creating with wood, metal, ceramics and textiles, with each process having its own room for design. Beyond incredible access to state-of-the-art machinery (like a CNC plasma cutter, for example) they also offer gratifying classes like welding, wood making and encaustic painting. With this guide, we hope you can find something fun and hands-on to do. 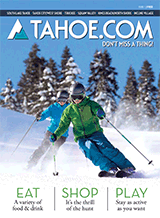 Be sure to visit our Daytime and Nightlife sections to learn about all the delightful events happening around Lake Tahoe this week!